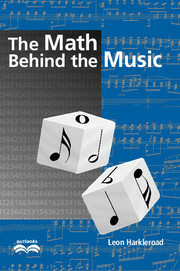 This series will explore the interplay of mathematics and other disciplines. There is a lot of curiosity amongst mathematicians about the way in which their subject is used outside their community and indeed about other disciplines in general. Books in this series will cover such wide-ranging topics as music, biology, chemistry, economics, sport, physics and more. Readers will be expected to have studied mathematics at undergraduate level, and for them the series will provide a source of cultural enrichment.